TCL announces its participation in the 14th edition of China Products Exhibition on November 15-17 at the Bombay Convention and Exhibition Centre, Goregaon East, Mumbai. 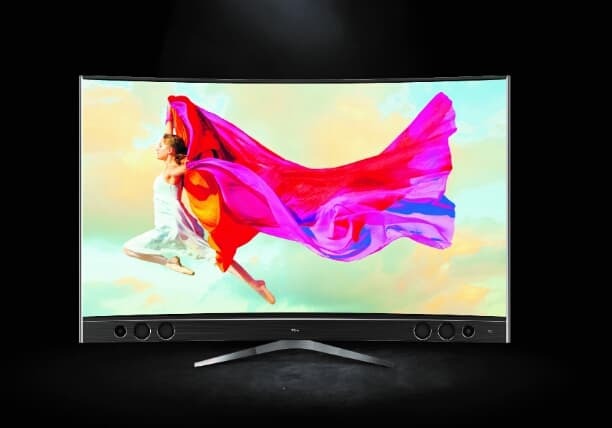 TCL will be showcasing its flagship product – the 65” QUHD Curved 4K TV Xclusive X1 Series along with their entire range of products including the newly launched smartphones and smart TV series in the exhibition centre. The China Products Exhibition is organized jointly by The China Council for Promotion of International Trade (CCPIT), CCPIT Guangdong Province Committee, CCPIT Commercial Industry and Worldex FM. TCL has introduced the best picture quality ever with 4K HDR technology in their new UHD range, also introducing meaningful innovations in the Smart TV ranges to further consolidate their position as the market leader under home entertainment segment. TCL has launched a series of smart TV which includes, 43” P1 Flat Ultra HD series, 48” P1 Curved Full HD series, 32” D2900 & 40” D2900 Full HD series, 55-Inch 4K Ultra HD Smart LED TV, 49-Inch Full HD Smart & Digital TV and 65-Inch 4K UHD Smart TV in India recently. Besides, TCL has entered the smartphone market in India with the launch of TCL 560 & TCL 562 smartphones which are exclusively available on Amazon. Both the phones are 4G VoLTE enabled and unlimited data from Reliance Preview will give an unparalleled consumer experience to the user. The TCL 562 and TCL 560 smartphones are suited to helps users to multi-task between work and entertainment. Recently, China Star Optoelectronics Technology Co., Ltd. (CSOT), a leading TV panel supplier and a subsidiary of TCL Group, has kicked off its construction project of the world’s largest Gen 11 LCD panel fabrication plant in Shenzhen, China. TCL is investing US$76.5 billion to produce extra-large high-resolution flat panel displays targeting 45″, 65″ or even larger LCD TV markets.